An experienced litigator, Caroline handles a broad range of complex commercial and business matters representing clients in a variety of industries in the courtroom and in arbitration or mediation. She has significant experience representing clients in insurance disputes and all aspects of commercial litigation in both state and federal courts. Represents a large power organization in a multimillion-dollar dispute concerning a design build/construction management agreement for a major energy upgrade project. Won summary judgment in a $15 million contract dispute between a U.S. subsidiary of a French reinsurer and an MGU. Represented a major terminal operator being investigated by the Waterfront Commission of New York Harbor. Won denial of summary disposition in an arbitration relating to a design build/construction management dispute in a project spanning 22 locations of a large metropolitan college. Advised a multinational insurer on the Consumer Product Safety Commission’s product recall standards in connection with a high-profile licensed product sold by a national department store chain. Won dismissal, in the U.S. Court of Appeals for the Tenth Circuit, of a contractual dispute regarding the sale of an aircraft. Advised the administrator of a $20 billion victims’ compensation fund for a significant oil spill in the Gulf of Mexico, including drafting proposed guidelines and claims protocols. Counseled and prepared witnesses for interviews on behalf of a French airline, in relation to a high-profile criminal investigation by the Manhattan District Attorney’s Office. Represented individuals and companies under investigation by the U.S. Attorney's Office, the Securities and Exchange Commission, the Department of Justice and the Manhattan District Attorney’s Office. Prior to joining Fox Rothschild, Caroline was a litigator at a large international law firm and a boutique firm, both based in New York City, where she focused her practice on litigation, (re)insurance and white collar crime. 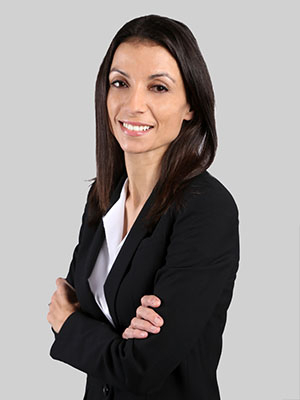 In addition to private practice, Caroline was a partner and senior claims manager at a large global reinsurance company in Paris, where she was responsible for investigating, analyzing, managing, negotiating and resolving multimillion-dollar reinsurance claims for large complex losses worldwide as well as launch and in-orbit space claims.